Massachusetts Workers Compensation Death Benefits: When is a Surviving Spouse Entitled to Continuing Death Benefits Beyond 250 Weeks? Under the Massachusetts Workers Compensation statute, G.L. c. 152 sec. 31 a surviving spouse is entitled to receive death benefits for as long as he or she remains living, unmarried and “not fully self supporting” following the employee’s death. For an initial period of up to 250 weeks after the employee’s death, if the surviving spouse remains alive and single he or she will be entitled to death benefits. The law presumes that surviving spouse is “not fully self supporting” during this 250 week period. Thereafter, the insurer may seek an order of an administrative judge at the Department of Industrial Accidents that the surviving spouse is in fact “fully self supporting” and thus terminate the death benefit. Workers Compensation insurers have in some instances argued that the death benefits automatically terminate at the end of the 250 week period. But that is not the case. In order to terminate the death benefit the insurer must file a complaint for termination and prove that the surviving spouse is not in fact “fully self supporting”. The judge must consider many factors in reaching a determination of “fully self supporting” including the life style of the surviving spouse, whether claimed expenses are reasonable and necessary and which if any income is to be included in the judge’s calculation of “self supporting”. There have been several Massachusetts cases defining what it means for a surviving spouse to be “fully self supporting”. There is no specific litmus test to determine whether the surviving spouse is “fully self supporting” within the meaning of Section 31. Marconi v. Crusader Paper Co. 10 Mass. Workers Comp. Rep. 609 (1996). Widows accustomed to a higher standard of living should according to the court be allowed to higher earnings before being deprived of their workers compensation benefits. Marconi, supra, at 612. It appears that only the earnings or investment income of the surviving spouse will be considered in determining whether he or she is “self supporting”. M.G.L. c. 152 Section 38 defines what sources of income or benefit shall be excluded from the judge’s calculation of whether the surviving spouse is ‘self supporting’ under Section 31. Wilson’s Case, 67 Mass pp. Ct. 1, 6 (2006). Pension or sick benefits paid to the surviving spouse from social security or as a result of an employee benefit plan are excluded and may not be considered in determining whether the surviving spouse is “fully self supporting”. Wilson’s Case, supra at 2, 7 cited by Haines’s Case, 71 Mass App Ct 845, 847 (2008). In summary it is likely that a surviving spouse will continue to receive death benefits after the expiration of the 250 weeks provided he or she remains alive, unmarried and does not have personal earnings or investment income to render the surviving spouse “fully self supporting” under G.L. c. 152 Section 31. 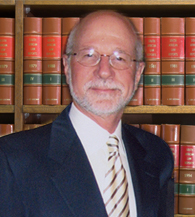 Jonathan D. Light, P.C. has represented individuals and their families who have been fatally injured in work related accidents and workers compensation cases for more than 35 years. He has been consistantly securing favorable settlements and awards on behalf of his clients. Jon Light has been recognized by his peers in the legal profession for his exceptional legal ability and high ethical standards. He has been awarded the prestigious AV® Preeminent™ Peer Review RatingSM from Martindale-Hubbell®; the highest rating for legal ability and ethical standards based on a strenuous peer review process. If you have lost a loved one in a work related accident, call 617-245-0220 or email the Boston Workers Compensation Law Firm of Jonathan D. Light, P.C. to schedule your free initial consultation. The firm serves clients in Boston and throughout Massachusetts.